Cam Newton finally returned to his old self. The dual-threat quarterback was finally able to run effectively for the first time this season, as he ran the ball 17 times for 107 yards and his first rushing touchdown of the season. He also added 284 passing yards and two touchdowns through the air. Based on these stats, you would think the Carolina Panthers won. 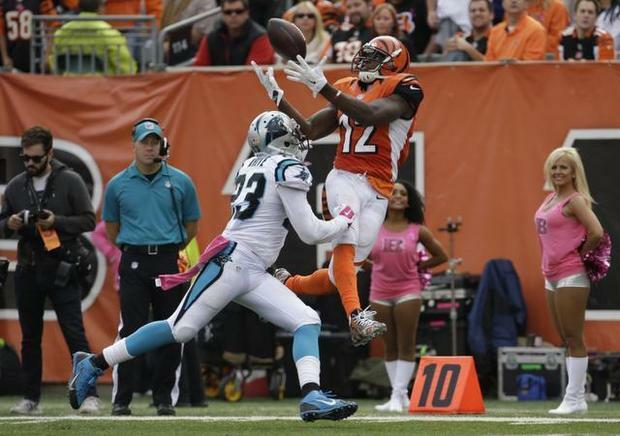 The Cincinnati Bengals converted 10 third down conversions on 16 attempts, missing only one in the first half. Giovani Bernard had his first career 100+ rushing yard day as he ran for an 89-yard touchdown. Andy Dalton completed 33 of his 43 passes for 323 passing yards and two touchdowns. Based on these stats, you would think the Cincinnati Bengals won. As we all know, stats can be misleading. Neither of these teams won, as for the first time in the Panthers’ 20-year history, they tied 37-37. Down 34-31 after a furious back-and-forth rally, Carolina was able to drive down the field and get in position for kicker Graham Gano to hit a 44-yard field goal as time expired to send the game into overtime. Cincinnati got the ball first and drove right down the field. 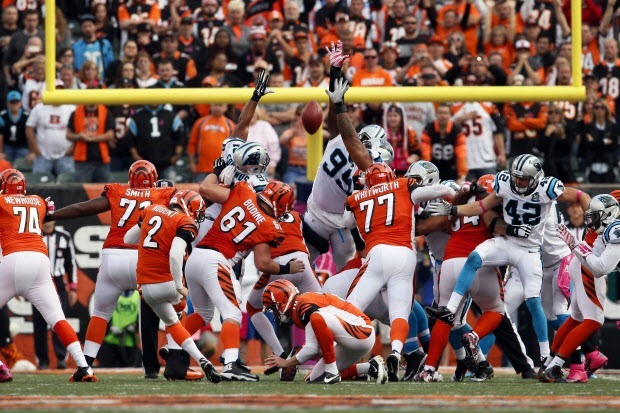 Carolina stopped them and forced Mike Nugent to hit a 42-yard field goal. Carolina did the same thing, driving down the field and getting stopped. Gano hit a 36-yard field goal to tie it up at 37 with only two minutes left. On their next drive, Andy Dalton was nearly perfect, completing eight of his nine passes. After Panthers defensive end Charles Johnson drew a roughing-the-passer penalty, it set Nugent up to hit the game-winner. With only two seconds left, the Bengals snapped the ball. It was a clean snap, a clean hold, a strong kick. Both teams played well offensively. Newton took over the Carolina offense with his rushing. After running only 14 times for 42 yards to start this year, he set a career high in rushing attempts with 17 and led the team with 107 rushing yards. Dalton was efficient and made solid plays all game. Even after throwing two interceptions, he stayed calm and nearly led his team to victory. Defensively, neither did spectacular. Normally, both of these teams are known for their defense. However, combined, they allowed 944 total yards and 74 points. Both teams only had to punt the ball once. In fact, this was the highest-scoring game that ended in a tie in NFL history. One of the biggest things that stood out was how both kickers for these teams missed field goals that could have easily been made. Missed opportunities and penalties were plenty in this one. They combined for 21 penalties and 179 penalty yards. The Panthers are now 3-2-1 after their first tie in franchise history. They head to Green Bay next week to face the 4-2 Packers. 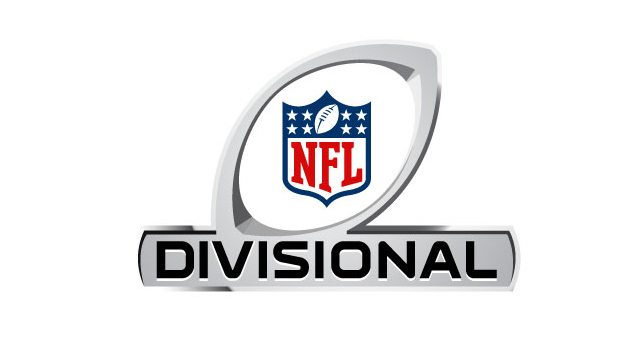 The Bengals, now 3-1-1, will travel to Indianapolis to play the 4-2 Colts.